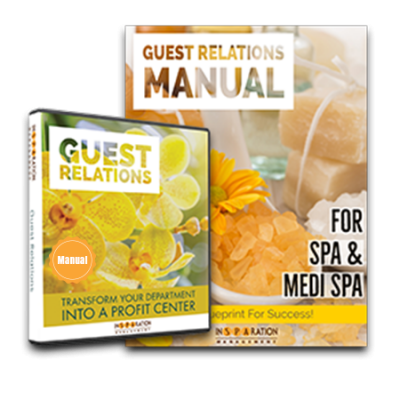 The Guest Consultation is one of the most important processes in your business. It’s part of your sales model. It’s your revenue hub. 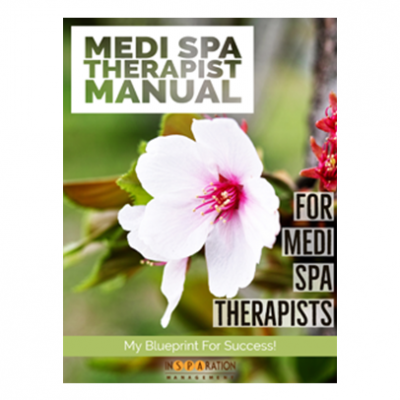 Yet, most medi spas do not have a system in place for this process. 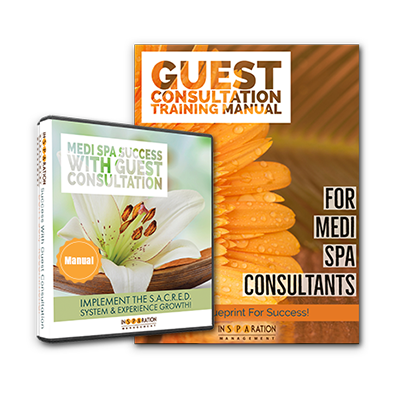 Guest Consultations To Improve Your Spa & Medi Spa. 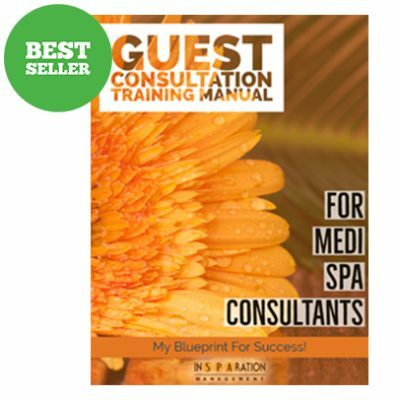 The Guest Consultation is one of the most important processes in your business. It’s part of your sales model. 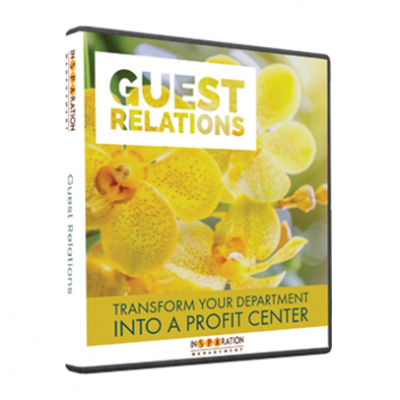 It’s your revenue hub. 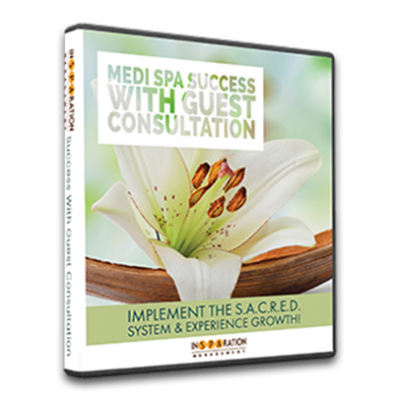 Yet, most medi spas do not have a system in place for this process. 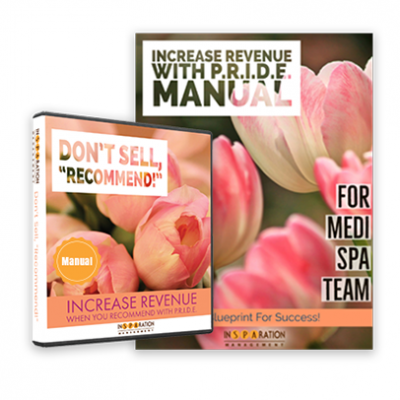 If you are ready to maximize your conversion rate and increase your revenue generation, we invite you to discover and implement the S.A.C.R.E.D. system. 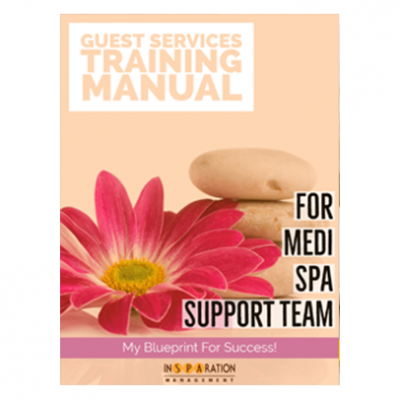 The Therapist Manual will provide your Aesthetic team and other team members with effective tools and operating guidelines to help clarify their roles, their responsibilities and how to increase guest retention by delivering a great experience. 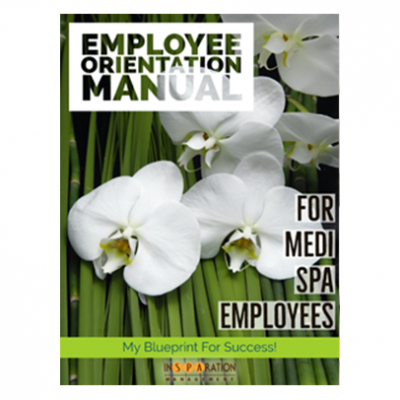 It will give total role clarity and improve performance by avoiding misunderstandings and mistakes. 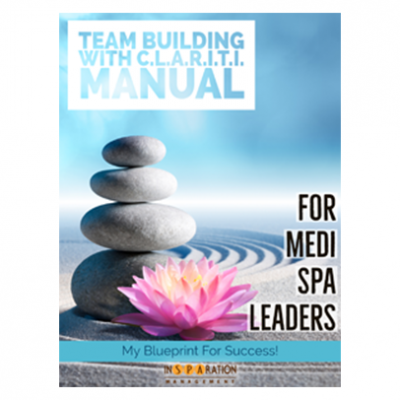 It also helps the team lead have the tools needed to train new team members and give your business structure and consistence. 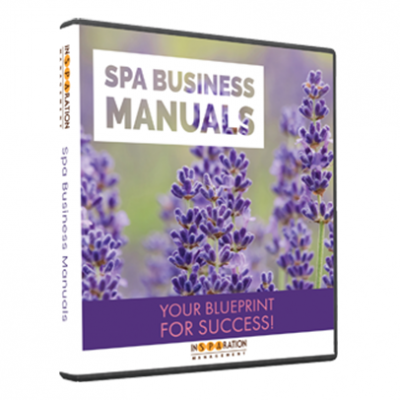 With some minor customization, this manual is a must for your success library.